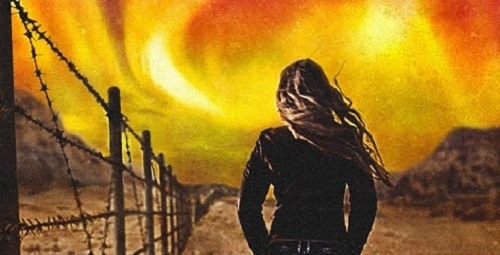 Welcome to the exclusive cover reveal for FLASHTIDE! I’m super excited to share this first look at the action-packed sequel to FLASHFALL. It continues the story of Orion and Dram, the mining partners from Outpost Five, as they seek refuge with the Conjurors and work to free their people. You can enter to win an ARC and awesome swag below! Be sure to check out the book trailer for an exciting glimpse into the FLASHFALL world! One winner will receive a signed ARC of FLASHTIDE plus a swag pack, when available. One winner will receive a $20 Amazon gift card plus a swag pack. Three winners will receive limited edition Outpost 5 patches from the book trailer + swag packs. Five winners will receive swag packs. The synopsis set it all out, and the cover is good, forward-thinking design! The cover looks very intriguing. The book sounds interesting! The cover goes well with the synopsis. I would love to read this! 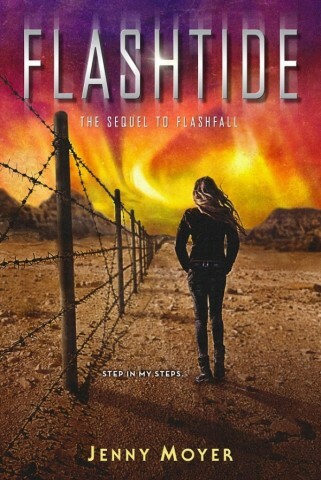 I am SO excited for Flashtide! I loved Flashfall so, so much and I cannot wait to see how the story continues! I think this cover goes quite well with the Flashfall cover, too! Like the cover but I'm looking forward to the story, sounds interesting. I love the cover and can't wait to read this exciting novel! The colors on the cover are bright and stunning. The synopsis makes me want to read this series. I like the colors and images in the book cover. The synopsis makes me think this story will have action and danger.